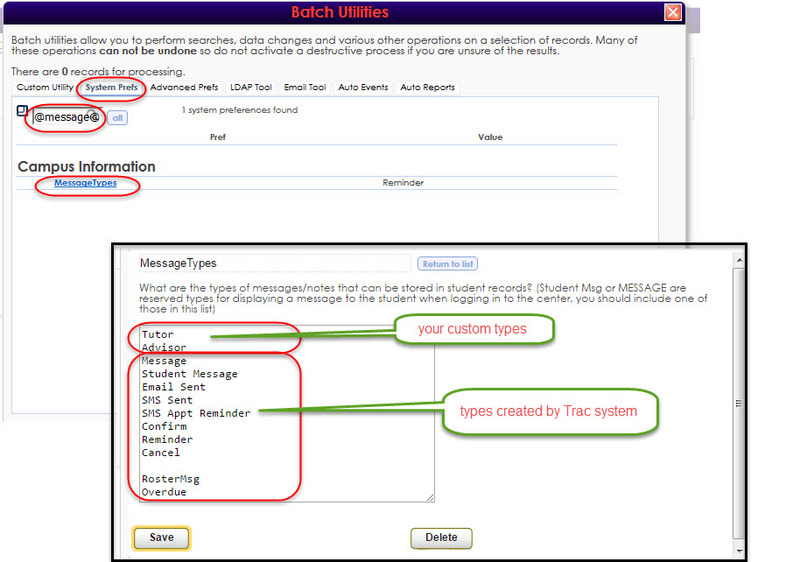 Rights to view specific message types are controlled through group permissions. 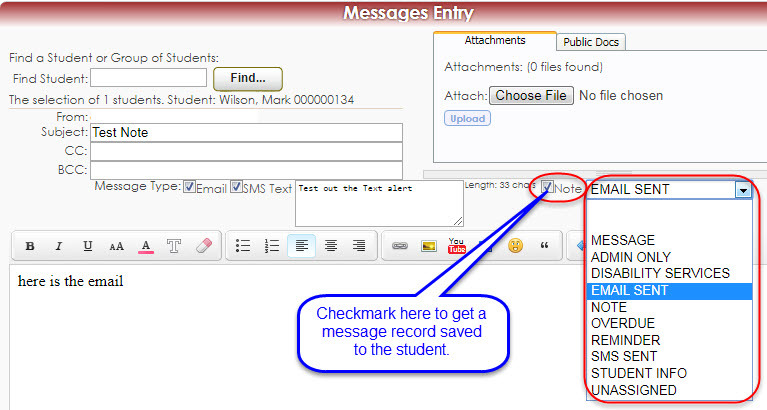 If you open a Student Entry window for a student, click the History tab, then click the Messages tab - you will see past messages that have been stored for a student. 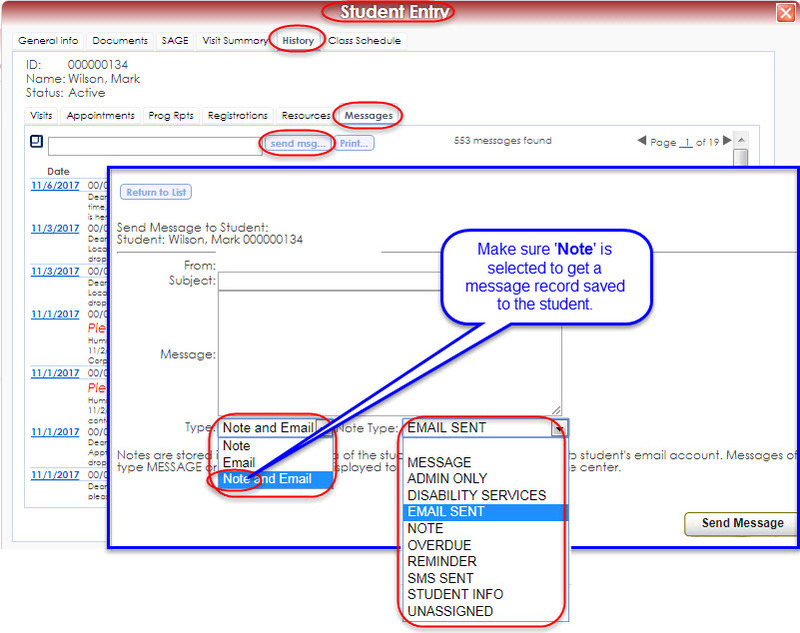 Each time an email or text is sent – it doesn’t automatically create a message record for the student. A message (aka note) record is created only when you specify that it should be created. To save the emails as messages, check-mark the three ‘create message’ options. You may want the Sys Admin group to view all messages. To do this, you will need to list system message types along with your customized message types (include one blank line for blank message types). 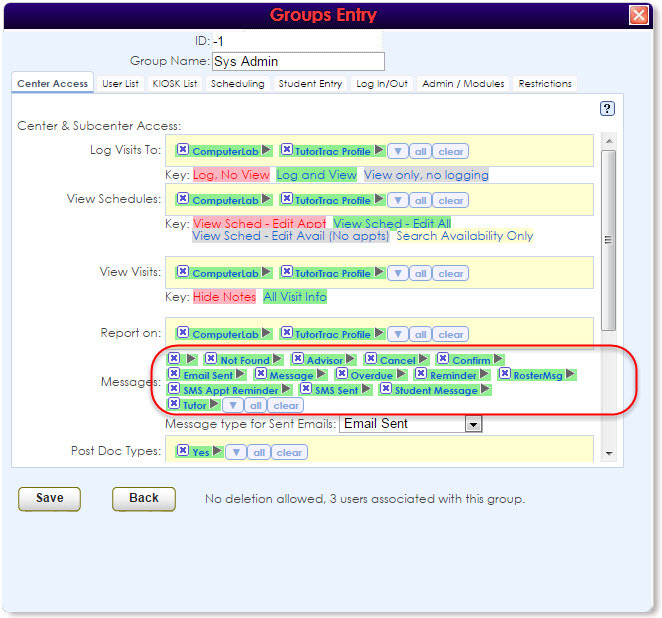 Then, give the Sys Admin group permissions to view all message types. 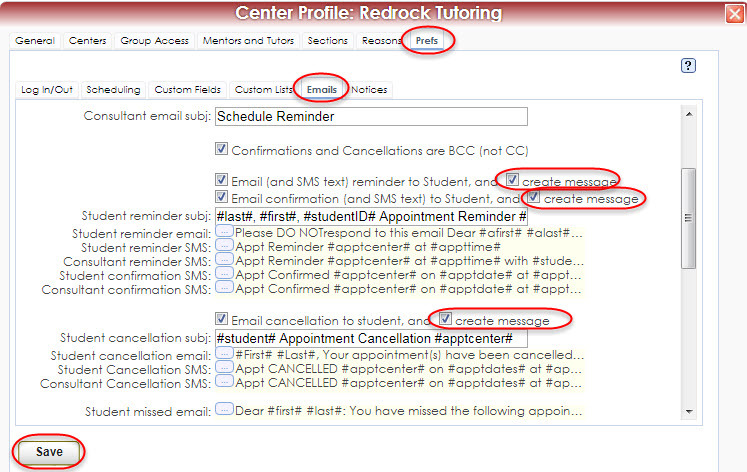 To get more information on messages, you can visit the Emails article in our Redrock knowledgebase.